Five teenagers have been charged with attempted murder following an alleged attack on two men in Fife. Police were called to reports of a disturbance in the West Way area of the Hillend industrial estate in Dalgety Bay on Thursday night. They found two men, aged 41 and 57, with serious injuries. 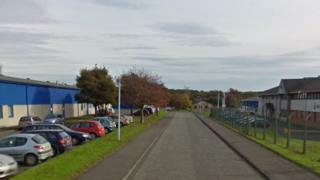 A 14-year-old boy, three 15-year-old boys and a girl aged 15 have been charged in connection with the incident. The teenagers have also been charged in connection with the alleged assault of a 63-year-old man during the same incident.